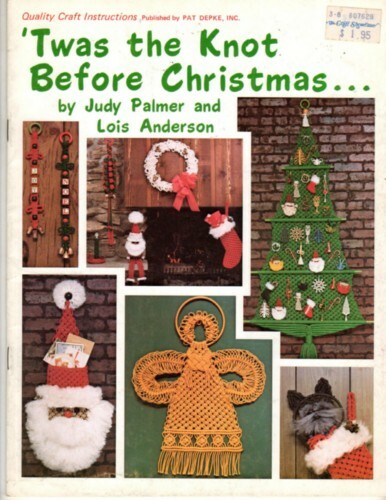 Twas the Knot Before Christmas macrame craft booklet. Judy Palmer and Lois Anderson. This vintage booklet appears to be in new to like-new condition. Price tag on cover. 35 pages.